The U.S. House and Senate return from their two-week recess on April 9 with its eyes set on addressing the opioid epidemic. We expect to see some form of bipartisan legislation considered before Memorial Day. The Centers for Medicare and Medicaid Services recently released the final exchange enrollment figures for 2018, which showed a minor drop in the number of enrollees along with higher premiums, but also higher subsidy amounts for those who qualify. Meanwhile, there is some concern that President Trump’s recently announced tariffs against China could raise health care costs if implemented. A handful of senators are once again exploring a spectacular increase in the cost of a cancer medicine, and new reports show the impact (or possibly lack thereof) on the ACA’s individual mandate on insurance coverage, and the employer costs associated with the nation’s opioid epidemic. We break it all down in our weekly health care review. With only 70 to 80 legislative days left this year, Congress is not expected to pass much major legislation before November. However, both houses are expected to move a package of bipartisan bills addressing the opioid epidemic. 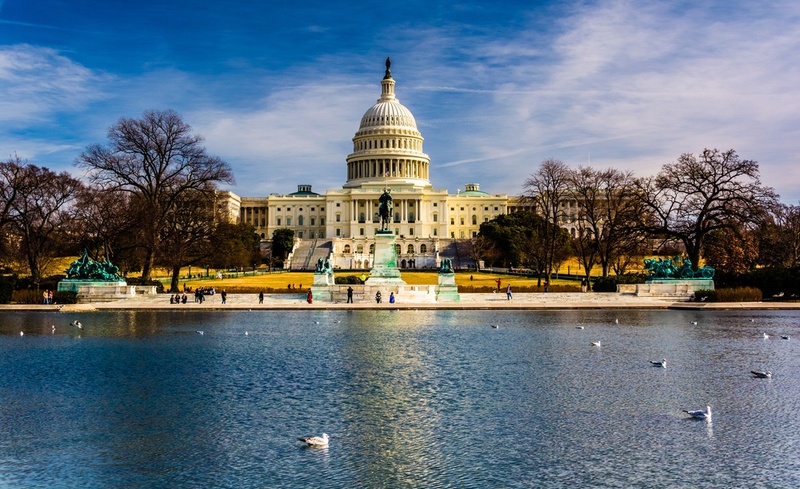 Key House and Senate committees will hold hearings this week on bills to combat the crisis with increased enforcement as well as additional treatment funding. The House Energy and Commerce Committee is expected to finish up its work on more than 40 bills; committee leaders want the bills to move through the House by the Memorial Day recess. Meanwhile, the Senate Health, Education, Labor and Pensions (HELP) Committee is expected to move on its own slate of legislation. The bills are likely to gain bipartisan support. The latest insurance stabilization proposal was left out of the budget bill that the president signed on March 23 following bitter partisan debate over the inclusion of abortion provisions. It marked the third time that stabilization measures failed to even get a vote. Susan Collins (R-ME), one of the lead Senate sponsors, said she is hopeful but not optimistic that the Senate will move this year. Senators Susan Collins, Claire McCaskill (D-M)) and Catherine Cortez Masto (D-NV) have sent a letter to Tri-Source Pharma LLC Chief Executive Robert DiCrisci, seeking “to better understand the factors contributing to the rising cost of lomustine.” Mr. DiCrisci also is CEO of NextSource Biotechnology, the Tri-Source unit that markets the drug under the brand name Gleostine. Introduced in 1976, lomustine treats brain tumors and Hodgkin lymphoma. Although it is off-patent, the drug faces no generic competition. The letter asks for company documents and information dating back to 2011 about sales, profits and expenses for the drug, and any documents that the company may have provided in response to requests from other government entities. It also cites a December report by The Wall Street Journal about the 1,400 percent increase in the price of the highest dose of lomustine since NextSource acquired rights to the drug in 2013, to roughly $768 per capsule. The company boosted the price again by 20 percent in February to about $922 per capsule. The rising cost has put it out of reach of some patients and generated criticism from cancer doctors. The Senate Aging Committee investigated and held hearings on steep price increases for prescription drugs in 2015 and 2016. Senator Collins chairs the committee, of which Ms. Cortez Masto is also a member. Senator McCaskill recently served as the ranking Democrat on the committee. In December 2016, Senators Collins and McCaskill released a report on drug pricing – Sudden Price Spikes in Off-Patent Prescription Drugs: The Monopoly Business Model that Harms Patients, Taxpayers, and the U.S. Health Care System – that concluded that the monopoly business model used by some pharmaceutical companies allowed them to exploit market failures and acquire decades-old, off-patent, and previously affordable drugs and then raise prices suddenly and astronomically at the expense of patients. On April 3, the Centers for Medicare & Medicaid Services (CMS) released the Final Enrollment Report for the 2018 Health Insurance Exchanges. The report found that approximately 11.8 million consumers selected or were automatically re-enrolled in an exchange plan in the 50 states, plus DC – down 3 percent from 2017’s total of 12.2 million enrollees. The final tally includes 8.7 million consumers in the 39 states using Healthcare.gov and 3 million consumers in the 12 state-based exchanges. According to the CMS report, the average premium (before tax credits) totaled $621 a month, an increase of more than 30 percent from last year. Subsidies are covering approximately 86 percent, on average, of the premium cost for those who qualify. In 2017, the average value of that subsidy was $383. In 2018, it soared to $550. As a result, those receiving tax credits will pay roughly $89 a month, on average, in premiums; down 16 percent from $106 a month last year. Silver-level exchange plans once again were the most widely selected plans, with 63 percent of enrollees choosing one, while 29 percent selected bronze plans and 7 percent selected gold. Consumers who were ineligible for premium subsidies chose a plan that was, on average, 18 percent less expensive than those receiving subsidies. Among all consumers with a plan selection, 27 percent were new enrollees (down from 31 percent last year) while 47 percent actively returned to select a plan. The share of customers younger than 35 dropped slightly (from 27 percent to 26 percent) – the first decline since the ACA exchanges launched – while the share of customers older than 55 grew slightly from 27 percent to 29 percent. Younger and healthier customers are seen as necessary to balance out the costs of more expensive older customers. The Trump administration’s proposed 25 percent tariff on thousands of Chinese imports include a slew of advanced medical products and drug ingredients used by drugmakers, as well as medical devices including pacemakers and artificial joints. China responded by threatening its own 25 percent tariffs on 106 U.S. products worth approximately $50 billion. If finalized, the 25 percent tariff would be placed on raw ingredients for drugs such as insulin and epinephrine, as well as vaccines, blood products and antidepressants, according to a list published by the United States Trade Representative (USTR). The tariffs would also target medical devices and diagnostic equipment including syringes, MRI machines, defibrillators, artificial joints, and pacemakers. Drug manufacturers and device makers are significant importers. According to data from the Food and Drug Administration, approximately 80 percent of the active ingredients in drugs used in the U.S. are from outside the country and at least 30 percent of all medical devices used in this country are imported. An International Trade Commission report in February found that China’s medical device industry has been expanding rapidly, with the fastest growth in sales of implantable orthopedic devices, plates and screws, primarily for use in surgical procedures and sports medicine. An estimated 12 percent of medical devices imported into the U.S. come from China, accounting for a total of $3 billion annually. RBC Capital Markets estimated that if the proposed tariffs took effect, they could cost the medical device industry up to $1.5 billion each year. AdvaMed, the medical device industry association puts the price tag closer to $5 billion. It is still unclear whether the tariffs will be enacted, and in what form. The USTR has set a 30-day review period for the proposal, and invited public comments to be submitted by May 11, with a public hearing scheduled for the following week. The journal Inside Health Policy reported on April 6 that the 2019 Notice of Benefit and Payment Parameters (NBPP), which includes the federal timeline for plan and rate submissions as well other key policy changes, has cleared White House review and appears poised for release in time for CMS’ annual qualified health plan conference slated for April 11-13. The much-anticipated rule had been under review by the Office of Management and Budget since January 17, and stakeholders had been increasingly frustrated by the delayed released of information. Congress, which while seemingly dead, could return as insurers and stakeholders react to early forecasting for premium increases. Insurers have indicated that they may hike premiums by up to 30 percent for 2019, after an average increase of 34 percent for silver-level plans for 2018. A Kaiser Family Foundation survey released on April 3 finds that 90 percent of people in the individual health insurance market plan to keep their coverage even after learning that Congress has done away with the individual mandate penalty starting in 2019. The survey found that the mandate ranks far down on a list of “major reasons” people gave for buying insurance, with only 34 percent citing it as a reason, below reasons such as protecting against high medical bills (75 percent), peace of mind (66 percent), or because they or a family member has an ongoing health condition (41 percent). There has been widespread disagreement about the impact of the mandate on consumers’ decision to purchase coverage. The Congressional Budget Office (CBO) projected that repeal of the mandate would result in 13 million additional people becoming uninsured in a decade, but it is revisiting its analysis. A recent analysis from the CMS Office of the Actuary placed the estimate at closer to 4 million. The Kaiser survey found that the most common response offered by people who are uninsured is that it is too expensive and they can’t afford it (36 percent), followed by job-related issues such as unemployment or their employer doesn’t offer health insurance (20 percent). Clearly, the reasons that consumers do or do not purchase insurance are more complicated than just a tax penalty (which would have been 2.5 percent of income or $695 per person, whichever is higher in 2019). • 53 percent believe the exchanges are “collapsing,” including six in 10 of those with exchange coverage. This is up from 42 percent in January. • The majority of exchange enrollees say their premiums have not gone up in 2018; 34 percent say their premiums are “about the same” as last year, 23 percent say their premiums went down, while 42 percent say their premiums have increased. • There appears to be little appetite for the short-term insurance plans that the president is seeking to expand access to through recently proposed regulations. When asked whether they would want to purchase such a plan or keep the plan they have now, 84 percent say they would keep the plan they have now, while 12 percent would want to purchase a short-term plan. An April 5 Kaiser Family Foundation report shows the exacting human cost the opioid epidemic, and the monetary costs for employers. According to Kaiser, large employers’ (defined as more than 1,000 employees) annual spending on treating opioid addiction and overdoses increased eightfold from $300 million in 2004 to $2.6 billion in 2016, even though opioid prescriptions for covered employees is at its lowest level in nearly a decade. Of the $2.6 billion, half ($1.3 billion) went to outpatient treatment, $911 million was spent on inpatient care and $435 million was used to purchase prescription drugs. Insurance plans covered $2.3 billion of the total, and out-of-pocket payments ($335 million) covered the rest. On average, inpatient and outpatient treatment for opioid addiction and overdose added approximately $26 per person to the annual cost of health benefits coverage for large employers in 2016, up from about $3 in 2004. On March 30, state officials asked the Trump Administration to formally waive the ACA individual mandate, becoming the first state to submit such a waiver request. Legislation passed last year (HB 49) requires the Director of the Ohio Department of Insurance (ODI) to submit to CMS a 1332 innovation waiver application to waive both the individual and the employer mandates in the state. Since that bill was passed, the President signed tax reform legislation that zeroed out the mandate penalty, but did not eliminate the mandate itself; prompting the state to seek the waiver. Meanwhile, the ODI on April 4 ordered health insurers and their PBMs to cease enforcement of so-called “gag orders” on pharmacists, and charging consumers more for their prescription drugs than the cash price if they paid without insurance. ODI Director Jillian Froment said in a statement, “consumers have a right to better understand the cost of their prescription drugs and whether or not they can get those prescriptions filled at a lower cost. We require insurers and pharmacy benefit managers to act in good faith and to follow Ohio law, but these explicit prohibitions will make expectations clear and will protect Ohio consumers.” Lawmakers are also preparing a bill to give the state auditor authority to review PBM contracts. Almost two years after Vermont lawmakers tried to tackle high drug costs by creating a drug transparency pricing law, drug costs are still an issue. The 2016 law, which requires drugmakers to justify price increases, has provided the state’s health care industry with more insight into pharmaceutical companies’ rationale but hasn’t held down costs, so the legislature is considering a number of new proposals. The Senate recently passed a bill (S. 175) by a 30-0 vote that would allow prescription drugs to be imported from and require health insurers to provide more information about prescription drug costs on premium rates. The bill also includes a prohibition on so-called “gag clauses,” requiring that contracts between a retail pharmacy and PBM not prohibit or penalize a pharmacist for disclosing information regarding the cost of the drug, the availability of any therapeutically-equivalent alternative medication, or any alternative method of purchasing the drug (including paying cash) that would be less expensive to the individual. The bill is expected to pass out of the House Health Care Committee this week. The Committee is also considering H.713, a bill that would prohibit prescription drug manufacturers and wholesale distributors from price gouging in the sale of essential off-patent or generic drugs, and H.775, a bill would that prohibit drug manufacturers from offering a discount, coupon, voucher, or other reduction in a consumer’s out-of-pocket expenses for a prescription drug if a lower cost is covered under their insurance plan. On April 5, Maryland Governor Larry Hogan (R) signed bipartisan legislation (HB 1795/SB 1267) creating a reinsurance program, funded by a $380 million assessment on health insurers operating in the state. The bill is expected to help stabilize premiums for an estimated 150,000 Maryland residents and prevent the state’s exchange and individual insurance markets from potential collapse. The legislation establishes a 2.75 percent tax on the premiums that health insurers sell in Maryland next year. The levy is not new to insurers — they have paid it to help fund the ACA, but the federal tax reform legislation passed last year gave insurers a one-year reprieve from paying the tax. Under companion legislation that lawmakers also approved, Maryland will seek federal money to supplement the new state tax revenue fund additional years of reinsurance. The U.S. House of Representatives and Senate will be in session the week of April 9-13. 53 percent believe the exchanges are “collapsing,” including six in 10 of those with exchange coverage. This is up from 42 percent in January. The majority of exchange enrollees say their premiums have not gone up in 2018; 34 percent say their premiums are “about the same” as last year, 23 percent say their premiums went down, while 42 percent say their premiums have increased. There appears to be little appetite for the short-term insurance plans that the president is seeking to expand access to through recently proposed regulations. When asked whether they would want to purchase such a plan or keep the plan they have now, 84 percent say they would keep the plan they have now, while 12 percent would want to purchase a short-term plan.